100% Virgin Wool superwash (Bluefaced Leicester superwash from the UK), 225m/246yards/100g. This is a twisted yarn. Bluefaced Leicester wool is super durable, but soft. It’s never wearing out and does not pill. 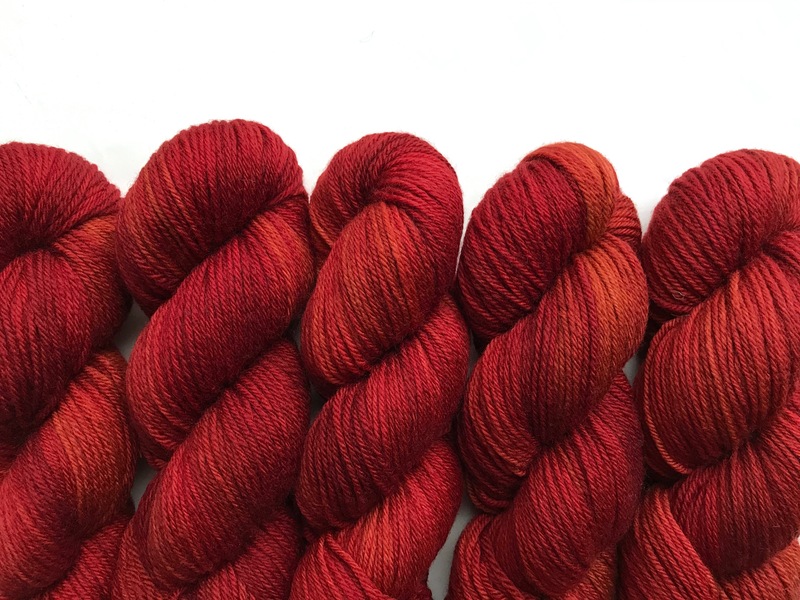 The perfect yarn for all of you knitters, who prefer to knit with a 4ply yarn. I highly recommend it and love it! 🙂 It’s the ideal yarn for sweaters or cardigans. Handdyed by me with professional acid dyes, light- and washfast. Machine washable (30 C°), but I recommend hand washing. Dry flat. Please note, that colours may vary from monitor to monitor! All items come from a non-smoking home, but cat-friendly home.